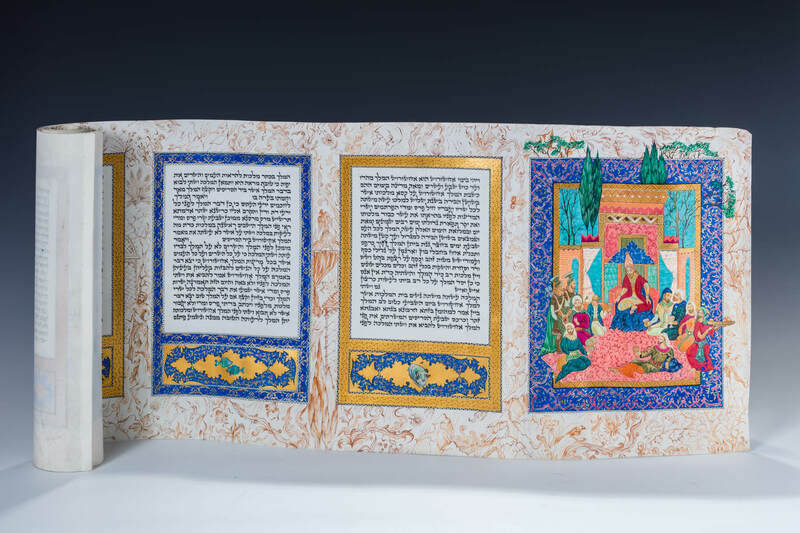 Hand illuminated with scenes from the Story of Esther. Written in a beautiful script. 14” tall.